I got most of these mugs at Anthropologie, but I’ve seen some real cute ones at World Market too. 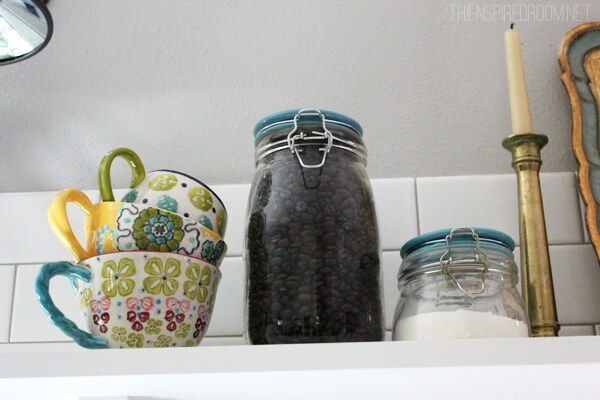 I got the cup drying rack at World Market, and also the blue lidded jars. The little espresso cups came from JC Penney. You could use a basket to gather items in your station, or set things up on a shelf. Whatever you can find to make it cute! Love this Melissa! 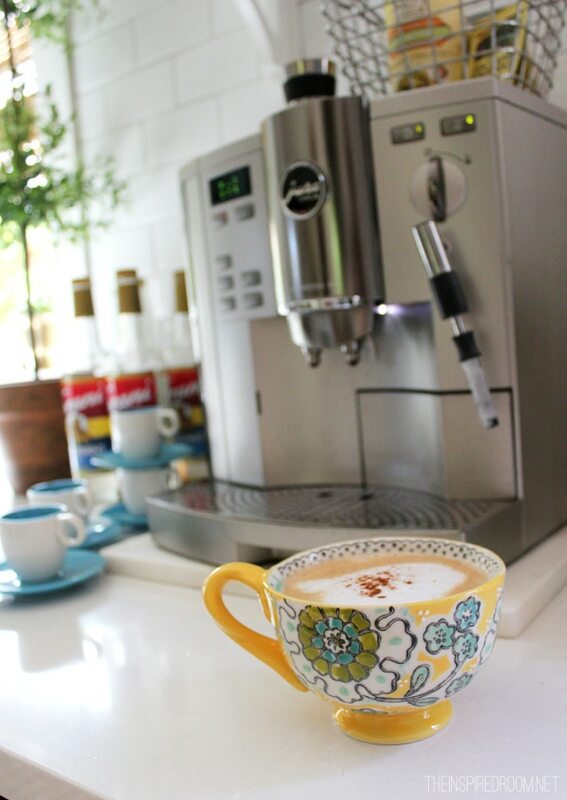 I am ALL ABOUT the pretty mugs too — but I start my day w/ a slow cup of tea. 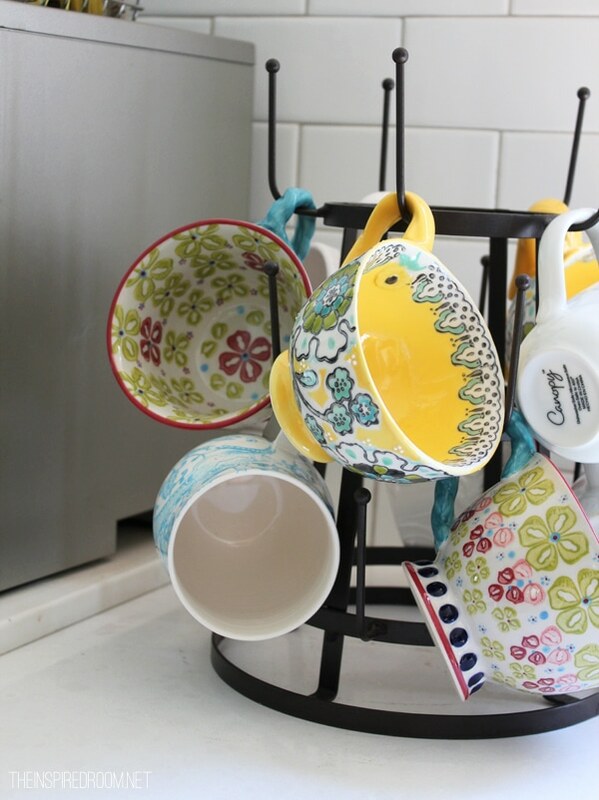 I have the bottle drying rack from World Market as well! I love it because (with all the pretty mugs on it) it’s like an ever-changing piece of artwork on my counter. Your photos are beautiful. Happy morning! I love things that are functional and still look so pretty. Your kitchen speaks that in volumes, Melissa. Such a great idea! I dream of this! 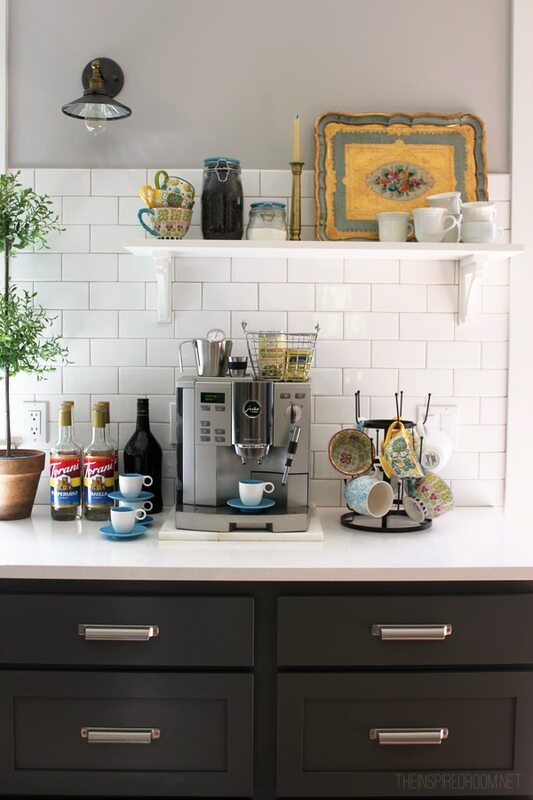 We do not have a tone of counter space…but one day…ONE DAY…I will have a coffee station. Perfection Melissa. Will have to tuck this one away to save for later.